Marriott International said it expects to add 11 new properties in the UAE by year-end, with a robust development outlook over the next five years. Year-to-date, the company has added six new properties and is scheduled to add five more in the country - bringing its portfolio in the UAE to 59 properties and over 17,000 rooms across six Emirates by the end of the year. 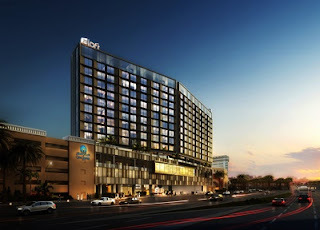 Two of the company’s openings this year feature regional brand debuts - the eco-conscious Element Hotels brand, which opened earlier this year in Dubai, and the EDITION brand, which is scheduled to open in Abu Dhabi later this year, Marriott said in a statement. The company added that it plans to further enhance its footprint in the UAE with the addition of more than 20 new properties in the next five years. The company expects this development pipeline could generate over 5,000 new jobs in the country. He said 2018 has been a milestone year for Marriott International in the UAE, with the company anticipating having added over 2,600 rooms by year-end. The company said it is also seeing an increased demand for branded residences in the UAE and across the region. Across the Middle East and Africa, Marriott currently operates three branded residential properties, including the Bulgari Residences in Dubai, and anticipates to more than double its residential portfolio in the region with eight projects scheduled to open by 2022.